This intricately crafted Sanjhi Art is a traditional folk art that is practiced today by using the paper-cutting technique. The template for the traditional Sanjhi making by itself is considered a work of art. Originating as decorative patterns for enticing Lord Krishna, Sanjhi Art was made of cowdung on village walls by unmarried girls. This ritual worship and celebration of Radha and Krishna found its beauty and designs in 17th century temple traditions and it became a temple art by the 19th century. 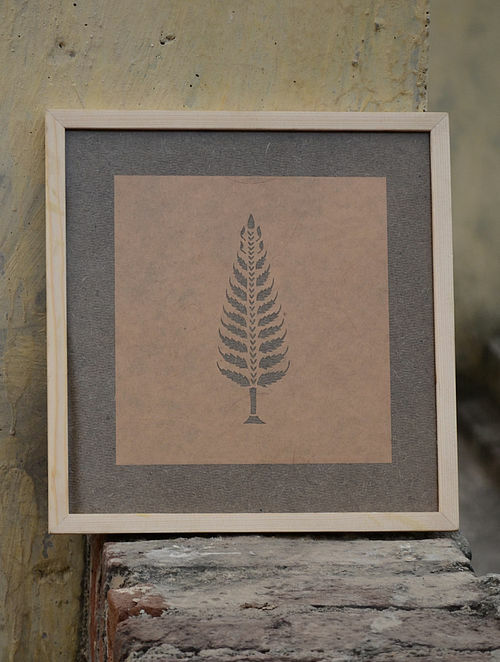 This product is inclusive of a DVD Sanjhi, Traditional Kalakaar (2013) by Devika Gamkhar. This is an independent film on the traditional artists of Sanjhi art, done in the Braj region (Mathura, Vrindavan and Govardhan) of India. With focus on one family, the film flows in the natural relationship of the art in life, and the life in art and is a tribute to the traditional artists of India.